These 19th Century houses, despite some surface roughness, had a brave glamour in the late afternoon light against that sky. They seem to glow in the afternoon sun. They were full of character, and though elderly, were true painted ladies, still retaining their mystique and their secrets. I loved them. They were known locally, I believe, as "the sad sisters." 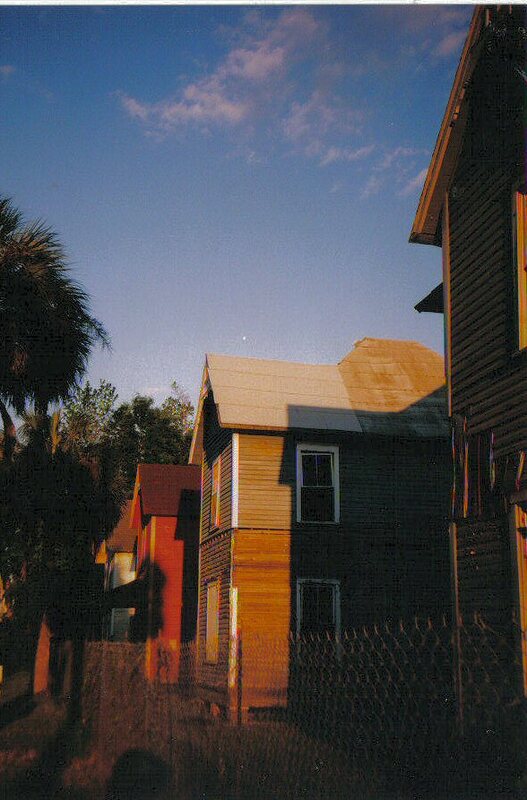 I took this photograph when my late husband Don and I took the children out for a meal in St. Augustine in 1998. We were on our way to a rooftop bar and restaurant and when I turned and looked back, this is what I saw. 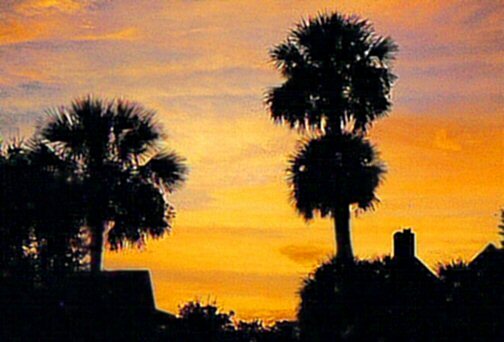 Don didn't think much of it as a photograph, but it reflects a picture I had in my own mind from childhood of Florida: palm trees silhouetted against this mainly peach-colored luminous sky, with streaks of purple in it. 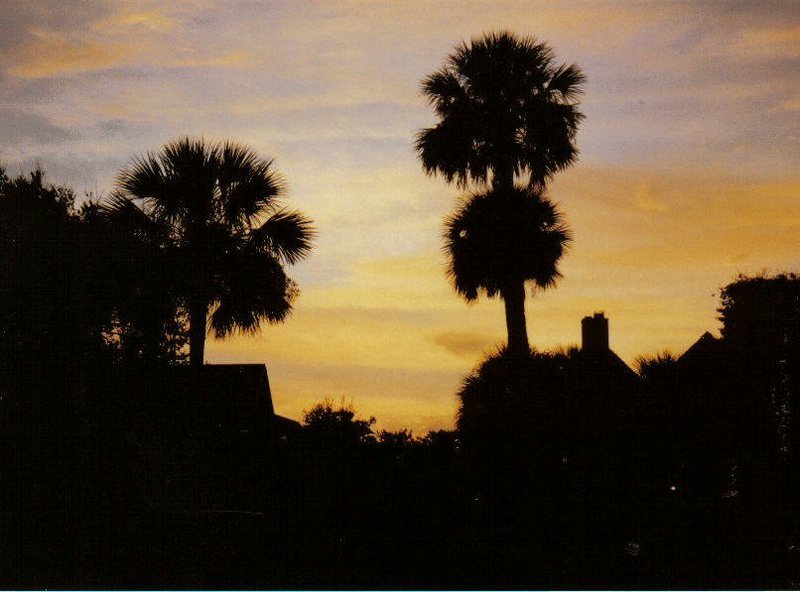 I don't remember the name of the restaurant or much about it, but I remember walking around Flagler College and the old city for quite awhile before dinnertime. It was a nice time.